Prepare to die... a lot. When you talk about difficult games, most people always bring up Soulsborne titles, and for good reason; They boast a huge challenge. For those who don't know, Soulsborne is the easy way to name all of the FromSoftware games (Demon Souls, Dark Souls I - III and Bloodborne) with the same gameplay style, even though they aren't in the same universe. The biggest draw for many players comes from these games' array of boss fights. They require players to analyze everything that a boss does and strategize a way to defeat them. 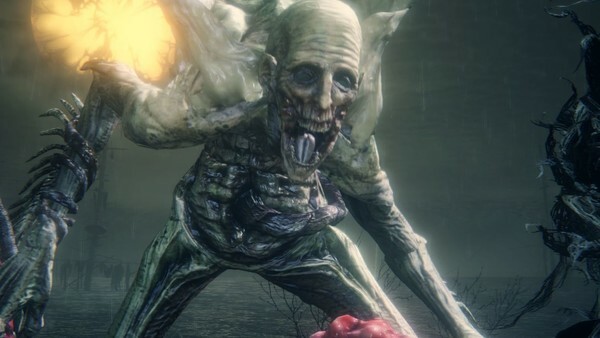 With the Dark Souls Trilogy being released on October 19th now is the perfect time to take a look at some of the most difficult bosses from those games. For those who have never played these games before, don't be turned away by the difficulty because these games are incredible. This duo is quite a challenge, to say the least. The fight begins with the player just fighting Lorian alone, which isn't too brutal. However, once Lorian's health bar dissipates Lothric will teleport to his side to revive him and hop on his back. The thing that makes this such a difficult fight is the fact that phase two has Lothric attacking the player with long range magic attacks while Lorian rushes the player with his close ranged attacks that deal massive damage. 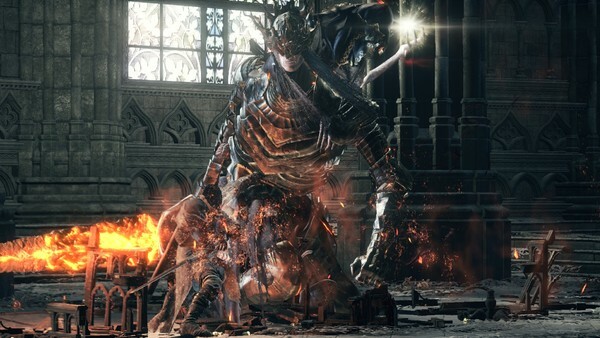 Lorian's attacks can be boiled down swipe attacks that can be blocked with a shield with good fire and physical resistance or they can be evaded with some ease. Lothric's attacks are traditional magic attacks like spears or homing projectile spells. The worst offense is that if you kill Lorian first, Lothric will just revive him back to full health and you will be right back to where you started in phase two. To come out on top, be sure to hit behind Lorian and get those hits on Lothric so that he dies early on in the fight. This will allow you to get some breathing room and just focus on the close range attacks. Keep your distance, pick attacks wisely and before you know it the princes will be no more. Ryan Boyle hasn&apos;t written a bio just yet, but if they had... it would appear here.